After a lightning fast Kickstarter back in February, Spiritwalk Games have announced that Shardbound will be coming to Steam Early Access on April 6. 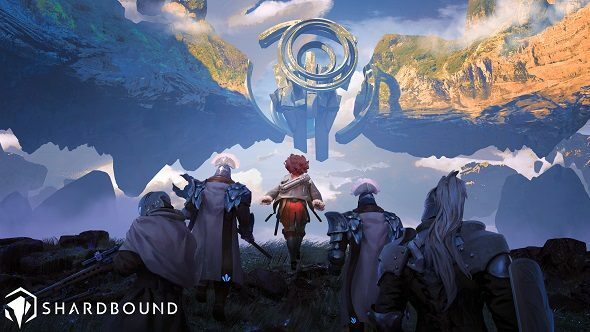 Mixing elements of collectible card games with strategy RPGs, Shardbound has players building up powerful armies to defeat their foes in large scale battles. For those in the market for a card game, check out our list of the PC’s best CCGs. Shardbound takes the collectible aspect of games like Hearthstone and blends it with the tactical combat seen in games like XCOM. Upon placing a minion of the field, you move them around like a unit in a strategy RPG, using their unique abilities to attack your opponent. You must factor in line of sight, height advantage and cover when moving your units about, adding an extra layer to combat. There are six unique factions to choose from, each with their own playstyles and unit types. As you complete matches, you gain resources to create more units but you can always buy special boxes for real cash, which contain a random unit or spell. Besides the combat system, Shardbound’s other draw is its Twitch integration. Shardbound’s game world is split into these massive floating chunks of land called Shardfalls, where players go to get matches against other players. If a streamer is playing Shardbound, the game drops a unique Shardfall specifically for that streamer in your game, complete with its own unique challenges. These streamer Shards can have objectives like beat that streamer in a showmatch, win a PVP game with a specially constructed deck or win a streamed tournament. These streamer Shardfalls are certainly great for fostering community growth, as it allows content creators to tangibly connect with their audience with cool events. I can imagine there will be many cross-stream Shard raids and silly deck tournaments when Shardbound is released. It also fosters growth for smaller streamers as players hop from Shardfall to Shardfall, looking for more matches and potentially checking out new streams. If you are interested in giving this streamer friendly CCG hybrid a try, Shardbound launches April 6 on Steam Early Access. Expect Twitch to be full of streams when it goes live, so get grinding out those Shards.